It’s common for us to pretend we live in a perfect, happy life and we have the strength to fight all its battles alone. Sometimes we are happy. Sometimes we are strong. 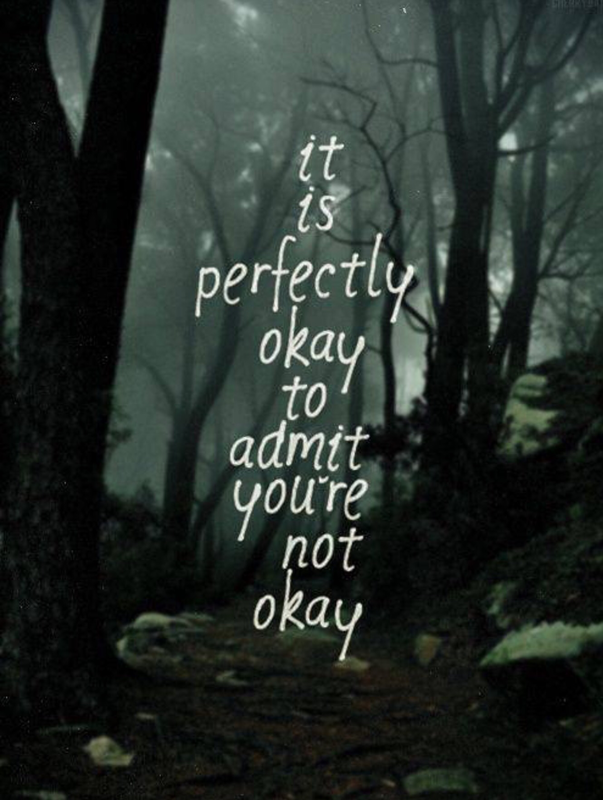 But it’s also OK to admit that we aren’t always happy and we aren’t always strong. Don’t harbour your sadness or anxiety inside. Don’t ignore it. To be free of it, we have to find our own way to release it. And that only begins by acknowledging it and by expressing it in one way or another. Be honest with yourself. Share your feelings with someone who you feel comfortable with and who you can trust. Express those emotions. It can only make you happier and stronger in the end.